On December 10, the Centre for International Governance Innovation (CIGI), located in Waterloo, Ontario, announced the appointment of Professor Emeritus Armand de Mestral as Senior Fellow with the think-tank’s International Law Research Program, effective immediately. At CIGI, Professor de Mestral will lead a project addressing a central policy issue of contemporary international investment protection law: is investor State arbitration suitable between developed liberal democratic countries? 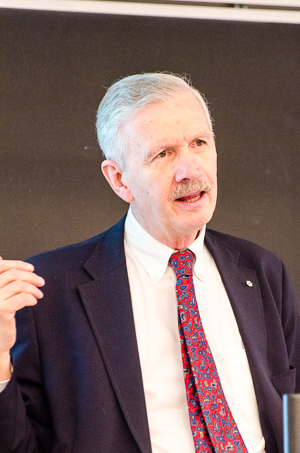 An expert in international economic law, Professor de Mestral holds the Jean Monnet Chair in the Law of International Economic Integration at McGill University. He has taught constitutional law, law of the Sea, public international law, international trade law, international arbitration, and European Union law. “I am pleased that Armand de Mestral is joining our International Law Research Program, as his research at CIGI will make important advancements in our understanding of investor-State arbitration,” said Oonagh Fitzgerald, Director of CIGI’s International Law Research Program. "I am delighted to take this opportunity offered by CIGI to examine a major public policy issue of great interest in Canada and abroad,”﻿indicated Professor de Mestral.